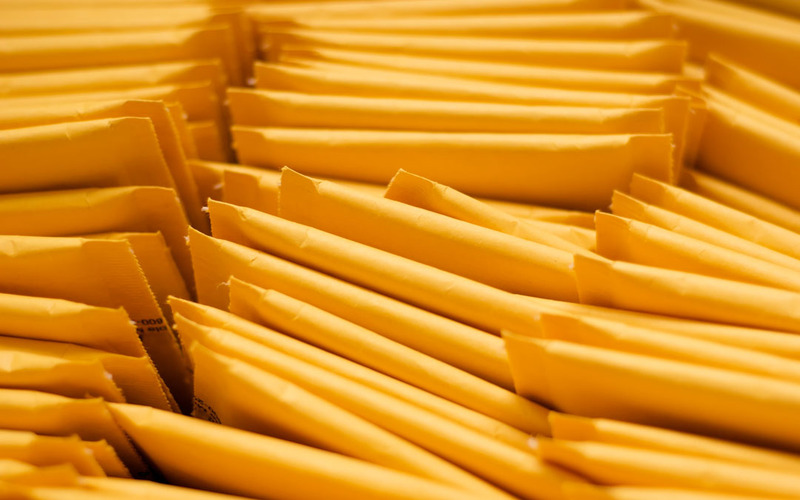 When it comes to buying mailer envelopes, here’s 5 major types of mailers you should know about first. These are the mailer envelopes consumers see and use most often. They use an outside layer of golden-coloured kraft paper to provide structure to the envelope (and catch someone’s eye upon delivery), while the inside is lined with a layer of bubble cushion to protect its contents during shipping. Their flat profile makes them ideal for shipping smaller items that don’t require the space of a box—thereby also saving you money on dim weight shipping costs. If you’re looking for extra protection during delivery, these guys are an even better choice than kraft bubble mailers. Their outside layer replaces kraft paper with opaque polyethylene plastic, a water- and tear-resistant material that protects fragile and expensive objects, while the inside keeps the bubble cushion lining. Moisture-sensitive items and products in need of more security will travel well inside these mailers. Not everything necessarily needs bubble cushion during its trip. Some products like shirts, sweaters, jeans or shoe boxes have their own “cushioning” built in. 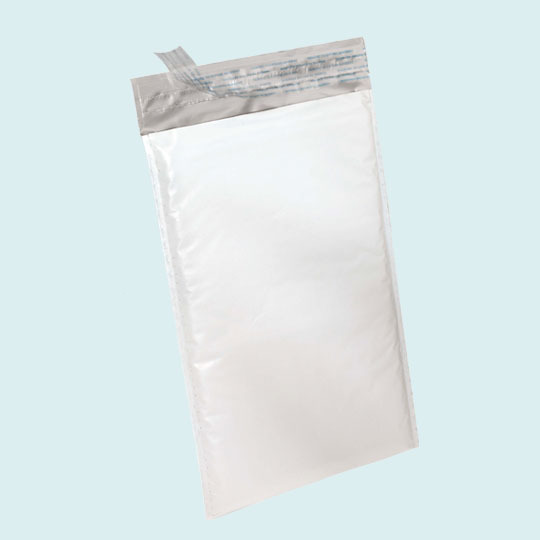 Courier bags remove the bubble cushioning from poly bubble mailers in favour of having more space, which also creates an even more economical shipping container. 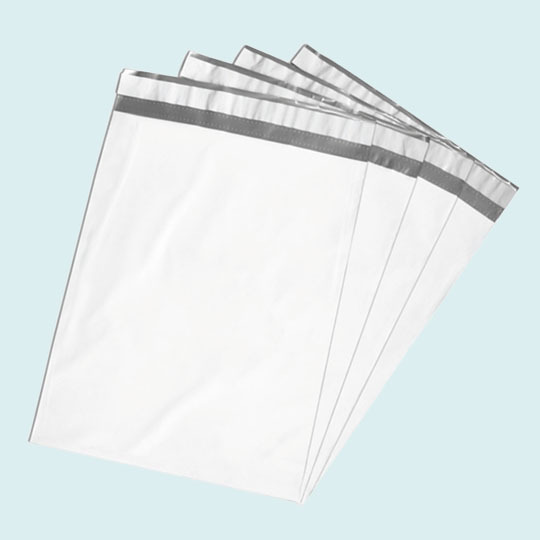 The polyethylene film helps to keep out moisture and dirt, while being flexible and tear-resistant enough to handle oddly-shaped items. 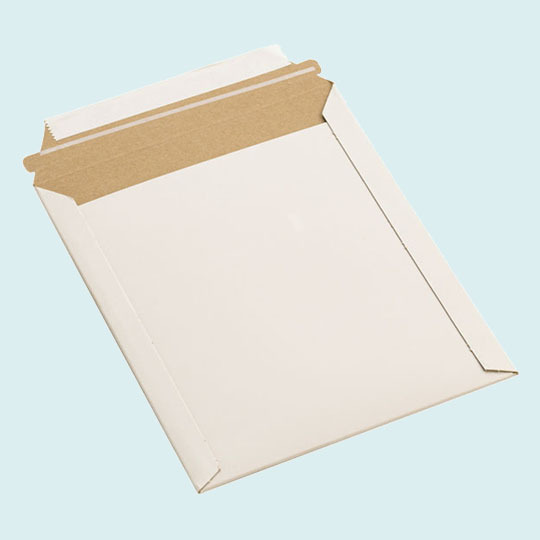 Any low-profile item that can fit in a mailer envelope, but requires rigid support during delivery, will benefit from travelling in a chipboard mailer. The stiff backing keeps items flat while shipping, helping to avoid damage from bending or crushing. If you’re sending out important contracts, eyes-only documents or unframed pictures, this is the kind of mailer you need. 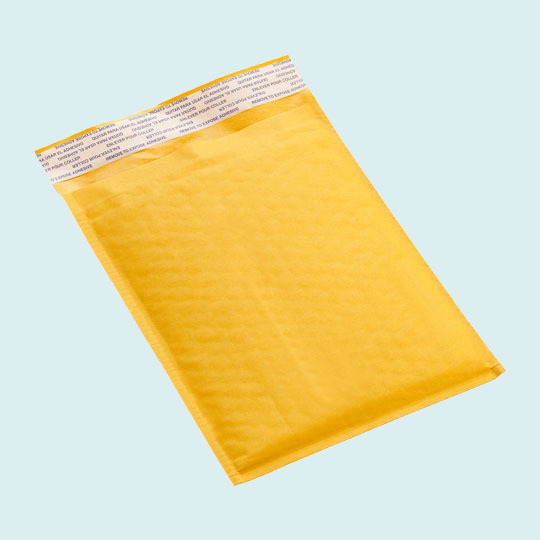 Stand out in a sea of package deliveries by using bright, shiny glamour mailers. Gone are the golden kraft or white poly plastic, replaced with a rainbow of eye-catching metallic colours. 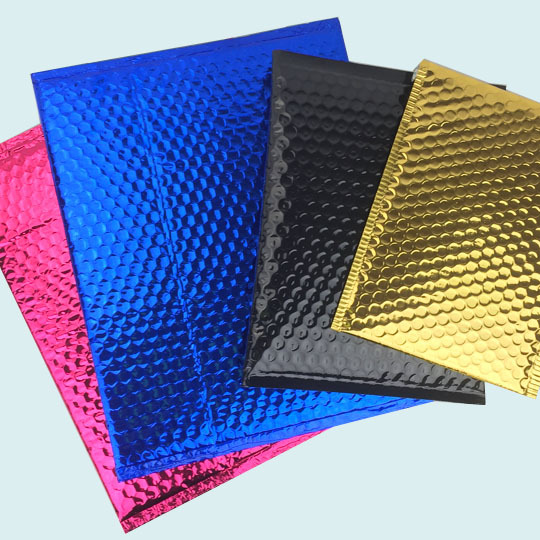 Available in flat (no bubble cushion) or in extra-protective bubble mailers, these mailer envelopes are the right choice for making a splash, or bringing your packaging in line with your brand’s colours. There’s a lot to learn when it comes to packaging, no doubt. But now you’re 5 minutes more in the know, and ready to make your first purchase of mailer envelopes. For more words worth knowing, be sure to visit our Knowledge Center, and stick with The Packaging Company for all your packaging needs.